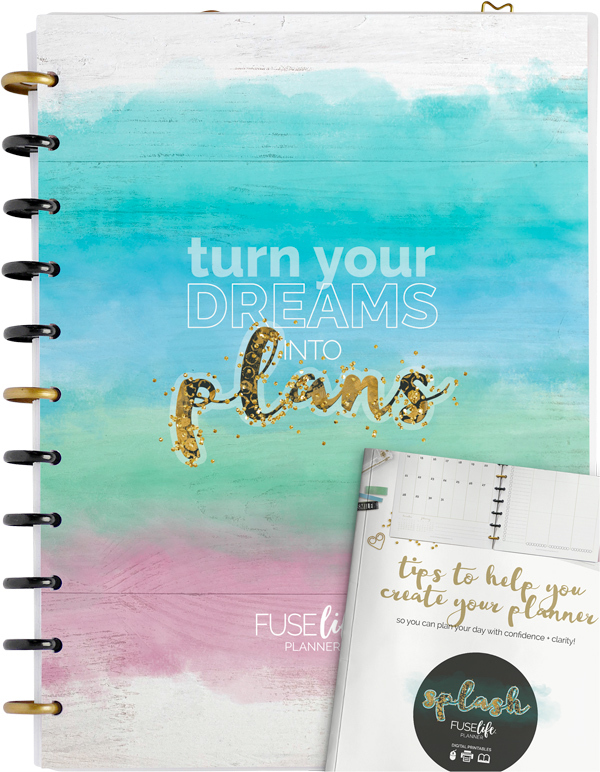 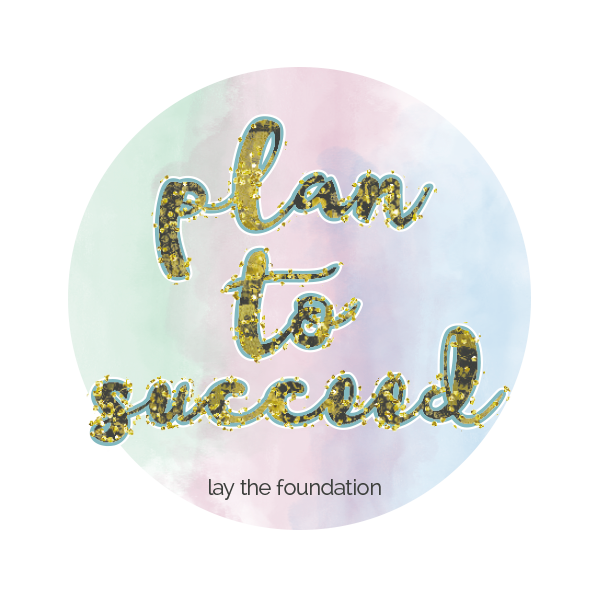 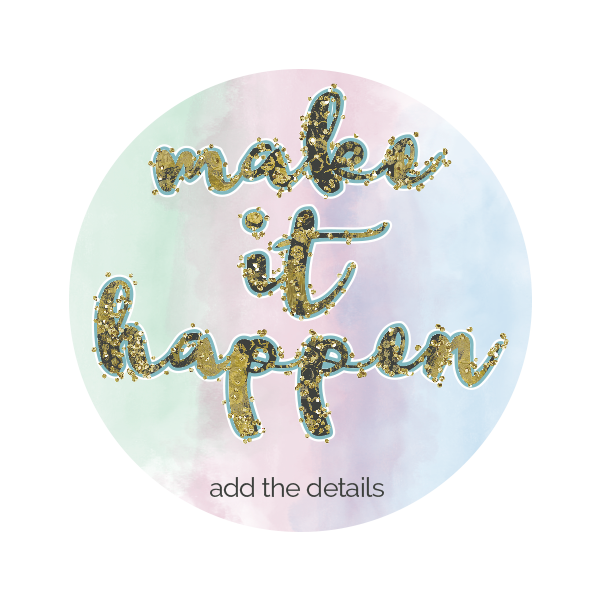 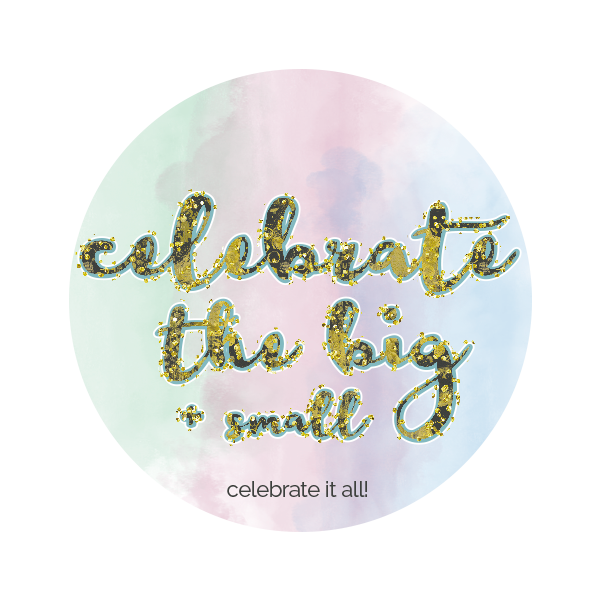 The SPLASH planner kit has an elegant mix of watercolour, glitter and gold page designs so you can make a vintage style planner unique to you. 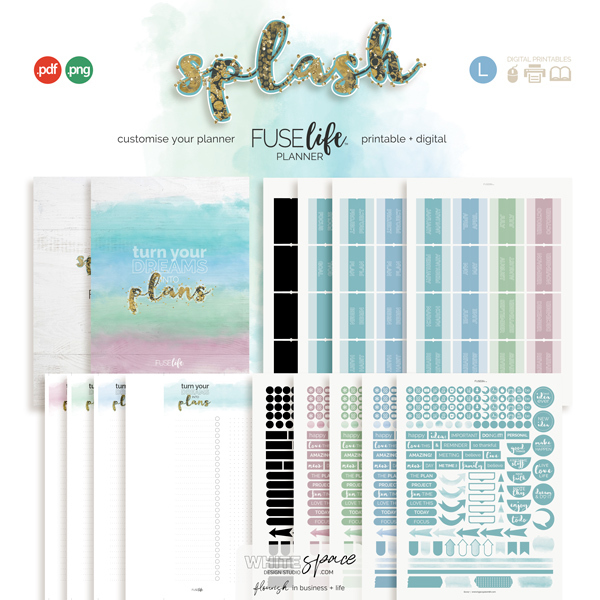 Looking for the planning + productivity bundle or refill pack … find them in the Splash aisle of the store. 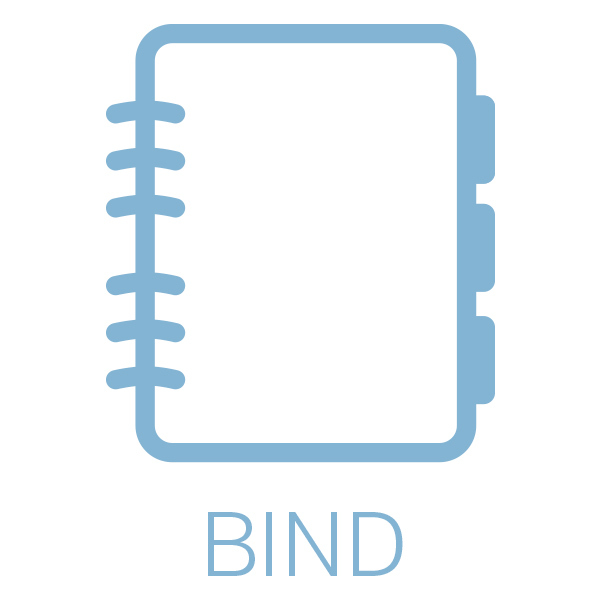 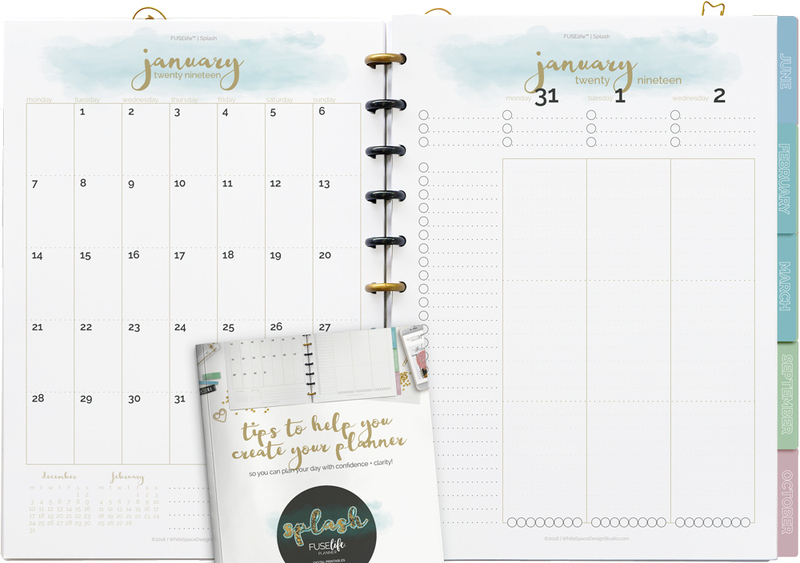 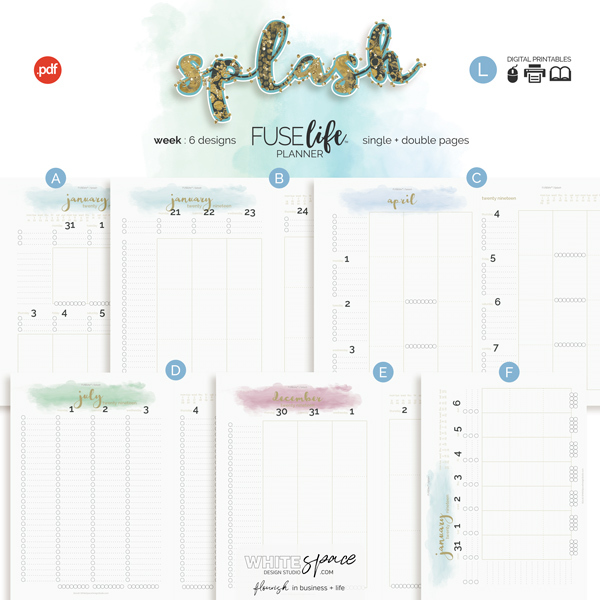 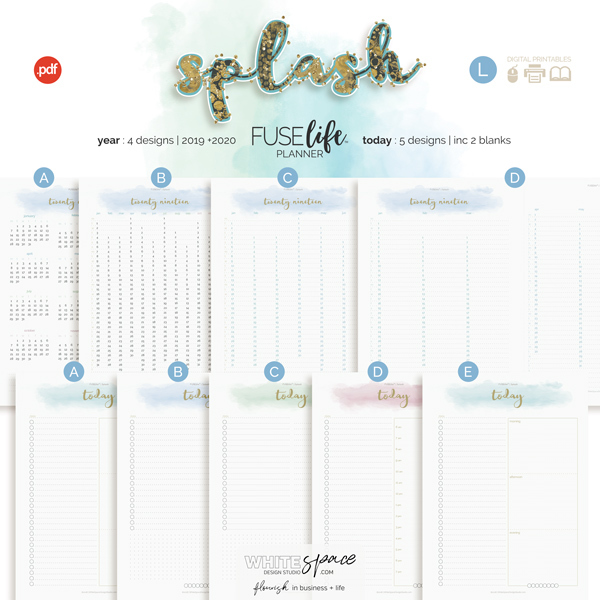 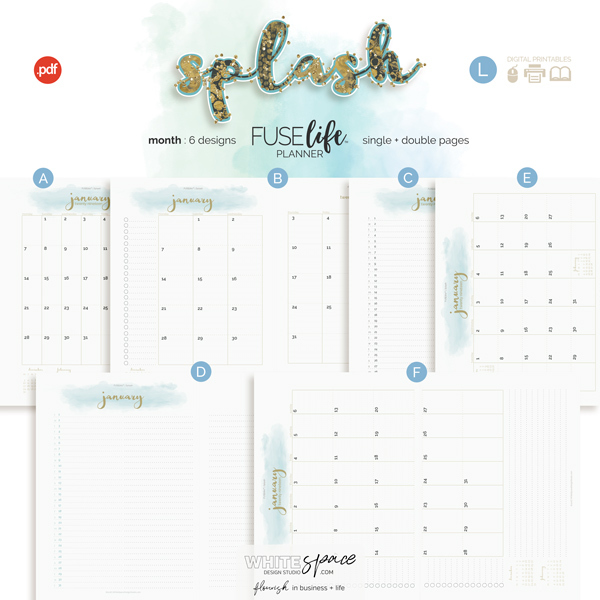 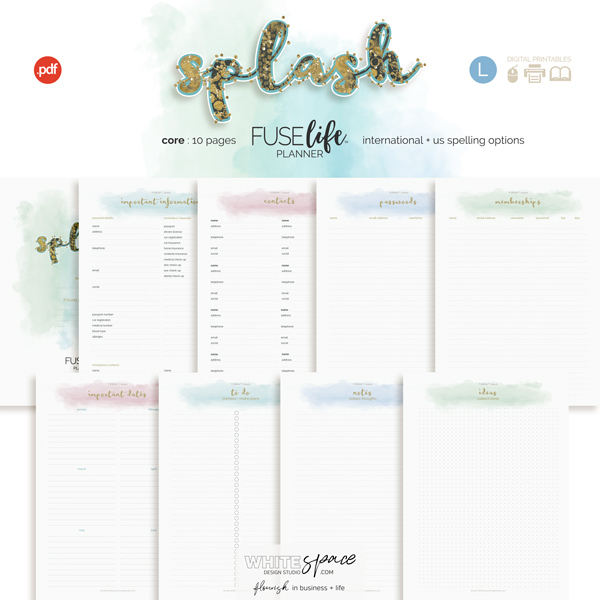 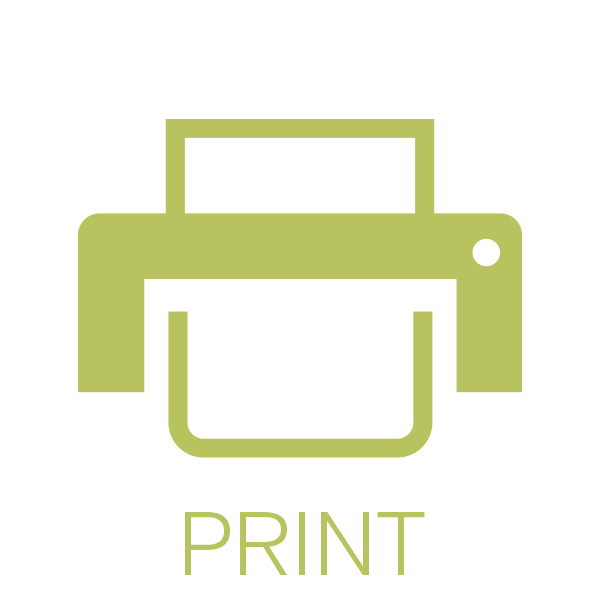 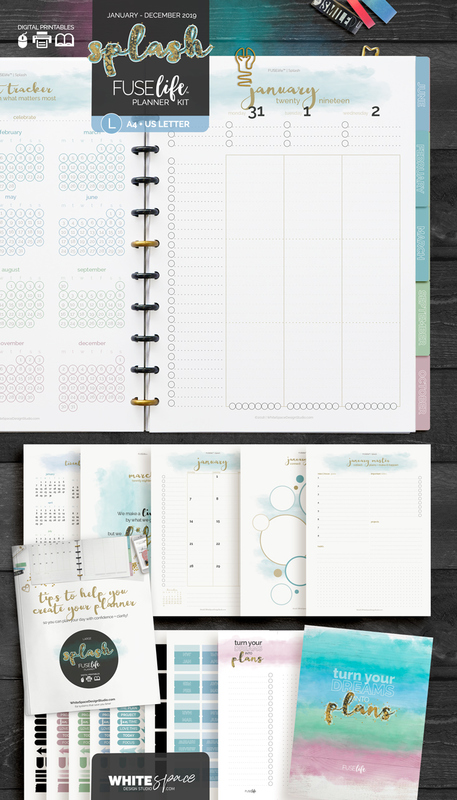 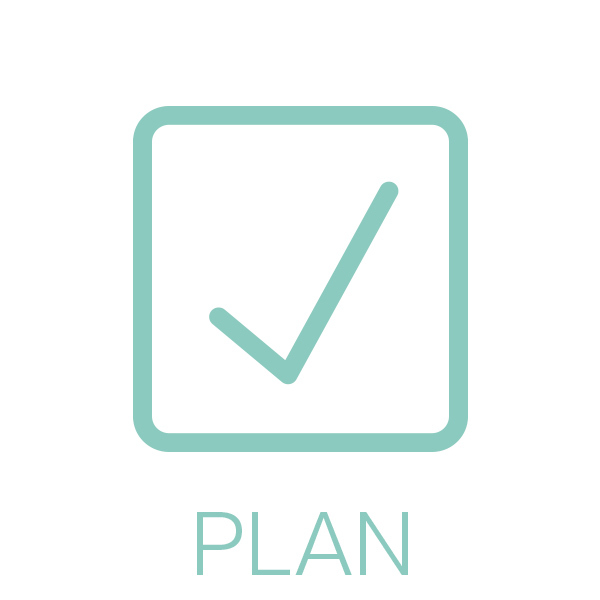 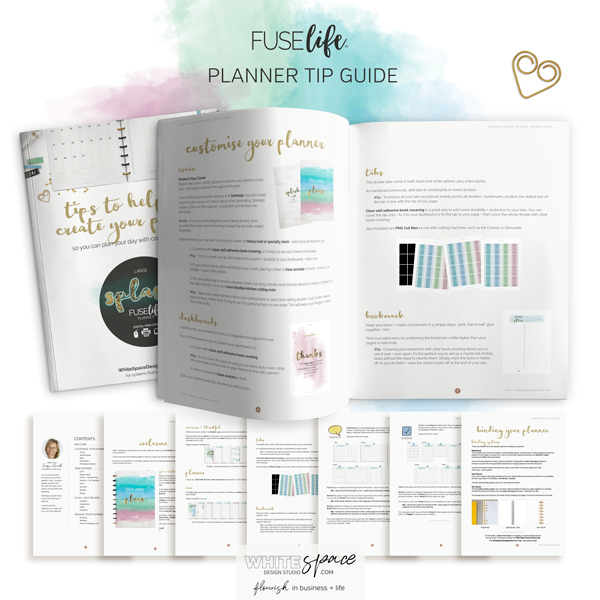 See the complete range of the large Splash Planner Kit page designs below.